Writing documentation can seem like a chore, or even an afterthought. Yet we know that it’s important so that others can use or maintain our code in future. That’s where Couscous comes in. 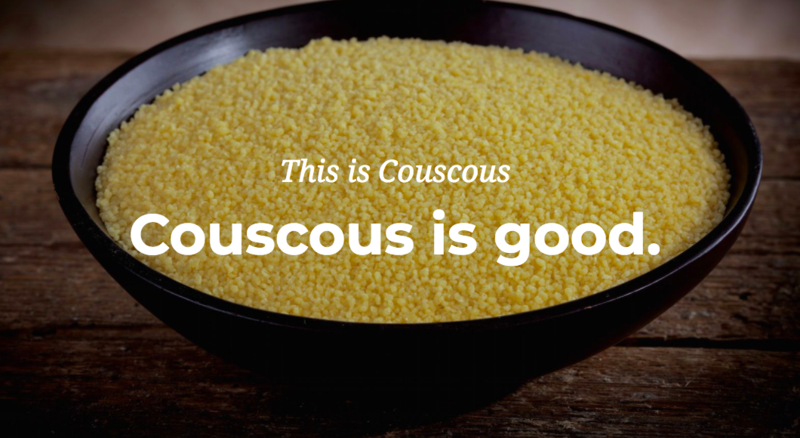 Couscous is a static website generator for your documentation. It takes your markdown files and then converts them to HTML, allowing you to quickly serve up your documentation in a readable format. 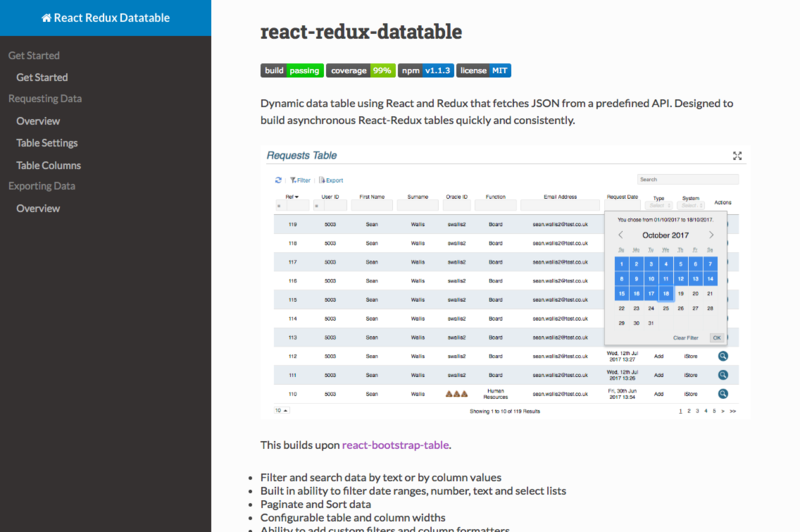 You can even deploy directly to GitHub pages. For me the great advantage is that I can write docs in the familiar markdown format, alongside my code, under source control. I am then able to run a single command couscous deploy and my documents are online. Or if I choose not to use GitHub pages, I can first build the website using couscous generate and then deploy the code myself. Then, assuming you have markdown files within you project, you can run couscous preview from your project directory to immediately see your documentation website. 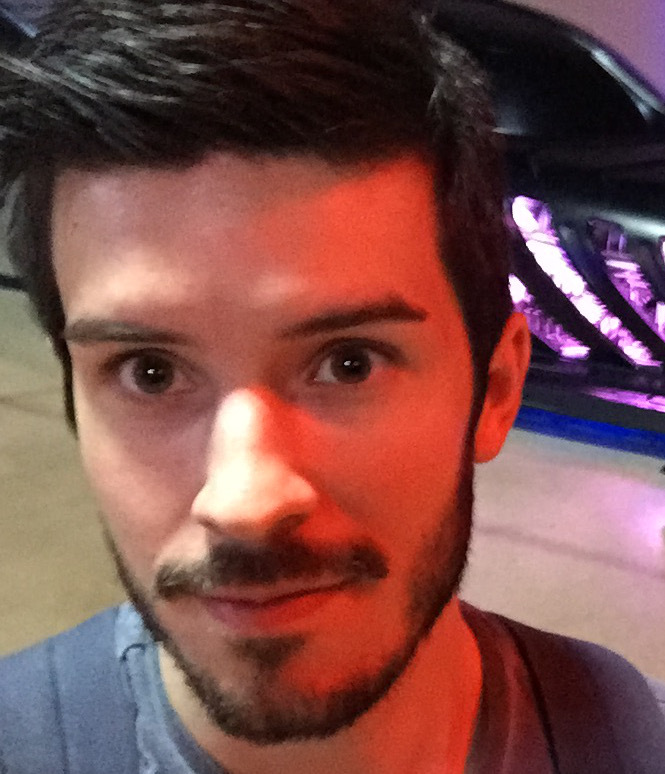 You can then view the result at http://localhost:8000. Great, we have some documentation, but in order for it to be more useful we have to configure it a little. We can set the template to a named directory or an external url (as shown above). Couscous already have a selection of templates that you can choose from, if you don’t want to spend time making your own. 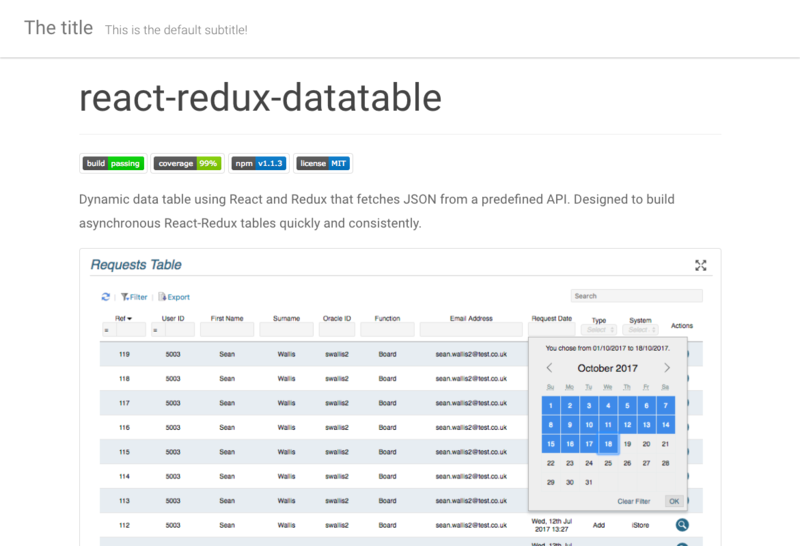 Please note that different templates will require different variables, so do check the documentation that relates to each template. And you’ll find the real thing deployed here. This post was published 489 days ago, content in the post may be inaccurate, even wrong now, please take risk yourself.